Poker Stars Power Up Game Tips - Is It Here To Stay For Long? PokerStars’ Power Up is a brand-new game that was recently released to selected players for its “Beta” round of testing. Real money games are now available at the $1, $3 and $7 stakes as three-person SNGs, and more limits are expected in the full release. Being a brand-new game, there is very little talk of strategy as of yet. Players are still focusing on understanding the dynamics that Power Up brings to the table, and are far from working out the most profitable way to spend “energy” or use “powers”. So this game is far away to being as clear as Texas Holdem, for example. Before I delve into a discussion on strategy, it’s worth asking whether or not Power Up is a profitable game for pros, especially given the extra rake. It looks like Power Up is a recreational form of poker, yet that can make a game variant worthwhile. The Spin N Go format is a prime example of a game, which pros avoided at first and Power Up takes poker in an even more “fun” direction. At the moment, it’s best to consider Power Up as a recreational option, but the lack of serious competition is attractive, and the game seems balanced enough that strategy will prevail. The strategy set out below assumes that you know how to play Texas Hold ‘em poker, including some basic math and strategy, and also that you are familiar with the PowerUp game. It’s also worth bearing in mind that the strategy presented is based on my initial thoughts and experiences and is not advanced or has proven profitable. The Power Up structure is currently set at 2k starting stacks with blind levels rising every 5/6 hands. It’s faster than the turbo but not as quick as the hyper turbo format. Therefore, play should be adapted accordingly, which means there will be only a couple of rounds of low-blind post-flop play followed by a lot of high-blind pre-flop action. Let’s delve into energy consumption. You start with 10 energy points with two points added after every hand up to a total of 15 and each power costs between 2-5 points. You also begin with two power cards and can hold up to three in your hand with one card added after each hand. This means that you can use powers pretty liberally. There isn’t too much point in saving points, but at the same time, running out of it puts you at a disadvantage. Here are a few tips to help with efficient energy consumption. First, using your powers for no good reason is just as bad as betting without reason and should be avoided. Your energy and powers are limited resources so use them wisely. Therefore, if you are dealt a bad hand out of position, it is usually better to fold than to try to remedy every fault with powers. Furthermore, there’s usually little point to entering a power battle with opponents if you have nothing in terms of your hand. At the same time, the overconsumption of energy by players can be considered a mistake just as it would be if players bet too much, and this mistake can be exploited. Folding a small pot after opponents have used an expensive power ultimately costs them the chance to use their energy in a more important pot. A cheeky mini-raise from you when the blinds are low could result in a power battle, which you can drop out of with little cost and let your opponents spend up. On a psychological level, opponents may feel more committed to a pot when they have used energy and powers, even if the pot is insignificant, so this should be factored into hand ranges once the leak has been identified. Power Up is still poker, and from my (so far limited) experience since the launch, it’s best to treat your hand as the priority and the powers as a way of improving your hand or outplaying your opponent. Don’t rely on powers alone. Remember that position is still king. In Power Up, having a position means that you can see what everyone else does with betting and their extra abilities and then use your powers last to counteract the moves of others. To understand the game even better, let us delve a little into the individual powers and their possible functions. It’s possible to break powers down into distinct categories. Several powers give you more information, either about your opponents’ cards or the board cards. These are the X-ray, which reveals one random hole card of every opponent, Intel, which lets you see the first card of every street, and Scanner, which lets you see the next two cards in the deck and then choose to keep or discard them. The Engineer is also informational but allows you to tamper with the deck. You can see the next three deck cards and select one to appear on the board. Other “tamper” cards include Disintegrate, which allows you to take out one card on the current street, Reload, which allows you to swap one or both of your hole cards, and Upgrade, which allows you to redraw a third hole card and then throw one. The Clone allows you to make a copy of the last power used, which is useful for getting the power that you need while the EMP prevents any further use of power on the streets, making it incredibly useful for stopping any funny business when you know you are ahead or if you want to shove all in the pre and make sure the opponent doesn’t Reload. It almost goes without saying that informational cards should nearly always be used when you need more information, either about your opponents’ cards or the cards that are going to fall on the board. You can use the X-ray if you are unsure how far ahead or behind you are in the hand and use the Intel or Scanner to work out if you are likely to catch up or hit on future streets. Powers can also be used in combination with each other, and this will no doubt lead to complex strategy in the future. Having broken down the powers into categories, it’s clear to see that informational powers can be easily combined with action/tamper powers. For example, you can use the X-ray to see the opponents’ cards and then the Disintegrate the board card for the one they need to make their hand or Engineer the deck, so it is not in their favor. An opponent disintegrated the highest card on the rainbow board and then made a large bet. In this case, he is likely to have a middle pair (now top a pair, after disintegration) so you can use your Disintegrate to take away that card. After this move, your bottom pair will be the only card on the board, so you can simply shove. Obviously, it is a straightforward example, but it is just to ilustare thought process that could evolve around the game. You may also notice that some powers lend themselves well to post-flop/low-blind play and others to pre-flop/high-blind play. The Disintegrate is practically useless at high-blind levels. There simply won’t be enough post-flop play to justify it. And the Intel will become less effective as the hand will be unlikely to play out over three streets. On the other hand, the Reload and Upgrade really come into their own. They allow you to change up your hole cards, and this is great for either shoving or calling all in at high-blind levels. The X-ray becomes useful for seeing opponents hole cards before making or calling a shove. The EMP takes on a new role as a pre-shove power. Use it to stop opponents switching up the deck or their hole cards and then shove or re-shove. The Engineer is also almighty for calling all in — you can use it just before you call to choose the right card to hit on the flop, potentially devastating the opponent. Given the blind structures of the Power Up SNGs, accumulating and saving the high-blind powers along with the necessary amount of energy to use them could give a considerable edge in later stages. Aim to use low-blind powers early and then work towards the keepers for late game. Remember, while this is an early stage of this new game, you have plenty of room to experiment and develop a good strategy because most of your opponents will be making plenty of mistakes. Moreover, the lack of poker tools for statistics will make this game even more interesting for recreational players. 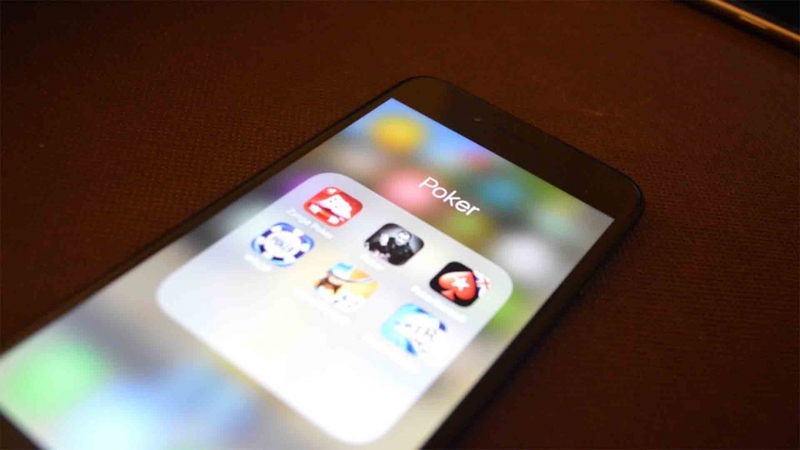 So join a discussion around the new PokerStars Power Up game, have fun and see what you can come up with!